Following all sorts of awesome accounts on Instagram is the best, seeing beautiful pet photography, dog friendly travels, day to day with dogs and amazing adventure dogs too; exploring the best of the UK and showcasing it on their accounts. To give some of these UK adventure dogs some extra love, here's a list of some I just love! So if your Instagram feed is full of more dogs than people [the way it should be] head over and add these cuties into your insta life. I couldn't not include Sev & Lily in the UK adventure dogs list. We share the best of living as a spaniel family, adventuring when are where we can and sharing it on Steph & The Spaniels our dog friendly lifestyle blog. Travelling in the UK and even further, giving ideas to be able to explore with dogs and never leaving them behind. Alfie the Springer Spaniel, along with his sister Bonnie head all over the country. Finding the best places to visit and explore, showcasing awesome dog friendly trips & travels and looking amazing as they go. 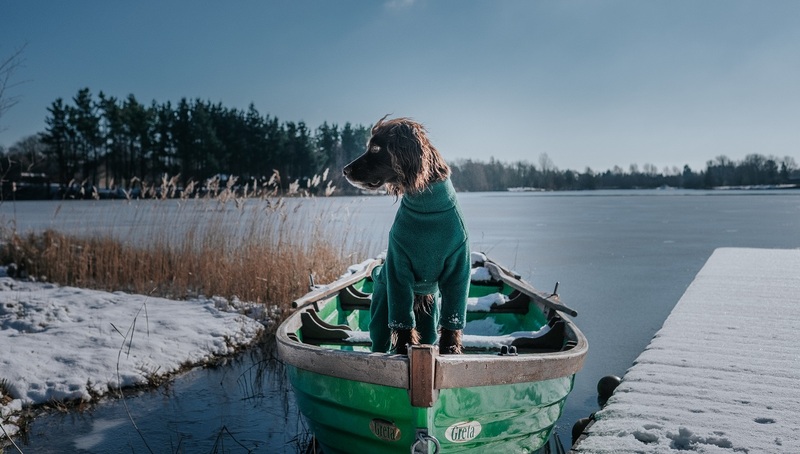 This gorgeous Sprocker is based in Scotland, making for amazing adventure photos, helping even more with the amazing photography that is shared. Exploring beautiful landscapes that get more excited to visit Scotland again soon. Cockapops was very popular when asking others for their favourite UK adventure dogs to follow on Instagram, and it's easy to see why. The current Canine Cottages Critic has giving this cockapoo the chance to travel and adventure even more and it's been great to follow along. Up mountains, around waterfalls and at beaches, great for ideas and just to see lovely photos. Tilly is such a delight to follow, an adventure poodle that also loves to steal stocks and snuggle too- the best of everything. The dog friendly beaches in the UK are shared on this account, and along with gorgeous photography it gives me so much inspiration to make every day an adventure. It may be said that I adore Scotland, so of course Roman had to be in the list of UK adventure dogs to follow on Instagram. This fluffy collie is a must to follow, exploring Scotland and the great outdoors, with breathtaking views and beautiful photos. Since Ted has joined the Cheshire canine pack, there has been an increase in exploring and adventures on this account. Great to see both young and old(er) pooches visiting new places and sharing the best of where they live.